A big thank you to everyone who’s bought Villain, my latest book in The Chronicles of Robin Hood saga. If you enjoyed it and bought it from Amazon, please do leave a review on the sales page. Every review really helps sales and gets the word out there about my books. You don’t have to put much – even a sentence or a couple of words helps. 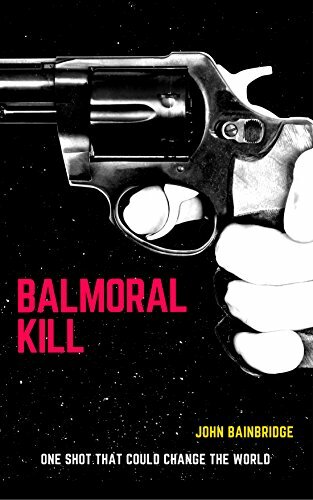 When I published my thriller Balmoral Kill a while ago, I wrote a piece on its background. The plan by the Nazis and some elements of the British Establishment to bring back the abdicated Edward VIII (then the Duke of Windsor) as a puppet king if Hitler ever conquered Britain or forced the country to seek peace. I said at the time how, in 1953, Winston Churchill begged President Eisenhower to suppress correspondence in the files of the FBI which revealed the Duke of Windsor’s sympathies with the Nazis. This week our National Archives have released documents proving the case. So I thought it worth while republishing my original piece. I’m interviewed by fellow writer of Victorian crime fiction, T.G. Campbell, who has asked some very interesting questions. So if you want to find out more about the Quest novels, about yours truly and how I write, do have a look. And do visit T.G. Campbell’s own site at http://www.bowstreetsociety.com to find out more about her books and the fascinating 1890s world of her Bow Street Society murder mysteries. My Victorian thriller The Shadow of William Quest is on sale on Kindle until Monday for just 99 pence/cents, so if you have a Kindle or a Kindle App on your phone or tablet do have a look. And don’t forget, you can download a FREE Kindle App by going to the book page. The second novel in the series Deadly Quest is also available, and both books are also out in paperback. I’m currently writing the third William Quest mystery thriller, which should be out by the end of the year.